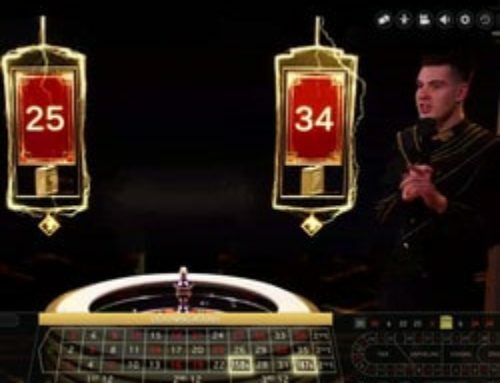 A live roulette player won the sum of 599 380 pounds sterling which is about 667 000 euros, on Playtech’s game Age of the Gods Live Roulette. 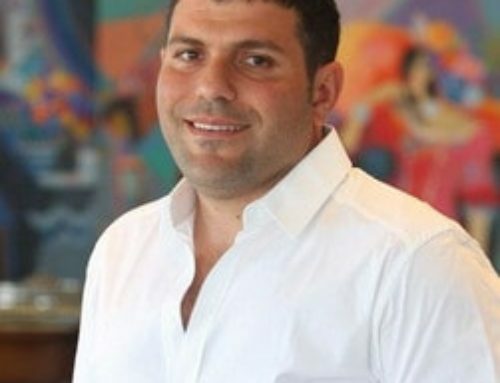 The happy winner was playing roulette on his mobile in the online casino Casino.com and won this astronomical amount. Since this progressive online roulette game called Age of the Gods Live Roulette. was launched , Playtech has paid out winnings of over a million pounds! 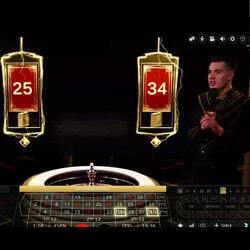 Live Dealers Casino tells you more about this new generation live progressive roulette table and about the best roulette tables open to real casino players. 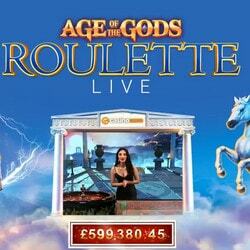 The Age of the Gods online roulette is a roulette table filmed in real time and hosted by a female dealer. Everything takes place live via Playtech’s streaming. 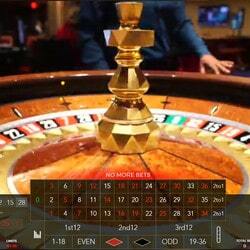 Players play at a traditional roulette wheel which does however, build up a jackpot. So a part of the players’ bets goes to a prize pool which grows as more players bet. It’s the same system as in progressive slot machines. The more players play at this roulette table, the more the jackpot grows. This time it reached 599 380 pounds sterling when a player, who wished to remain anonymous won the jackpot. He said ” I was crying when I saw the big jackpot amount hit my account and I was in total shock. I have three children and this jackpot will change my life. I’m so happy!!”. 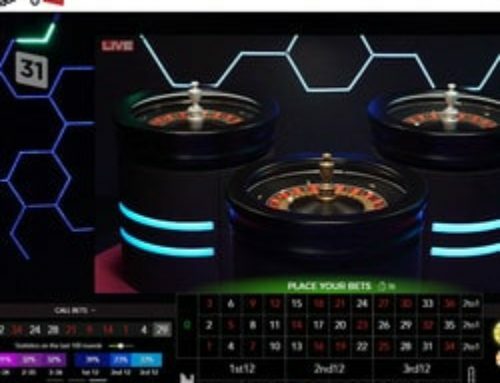 Playtech has innovated with this new type of roulette table combining the live game with a progressive jackpot which can be won at any moment. Moreover, we have noticed that more and more players are using their mobiles to play casino games like this player who won while playing on his mobile. Mobile casinos are on a roll and it’s not just by chance that the number of live dealer tables are increasing on mobiles. There is a tendency to have roulette tables live from real casinos. Authentic Gaming is a leader in this area with its tables live from the Saint-Vincent Casino in Italy, Platinum Casino Bucharest (Romania) and the Hilton International Casino Batumi (Georgia). Evolution Gaming is also in the game with its roulette tables live from the Dragonara Casino and the Grand Casino Bucharest. 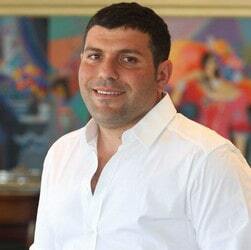 Ezugi has made a strong comeback with its live tables from the Maltese casinos, Portomaso Casino and Oracle Casinos. 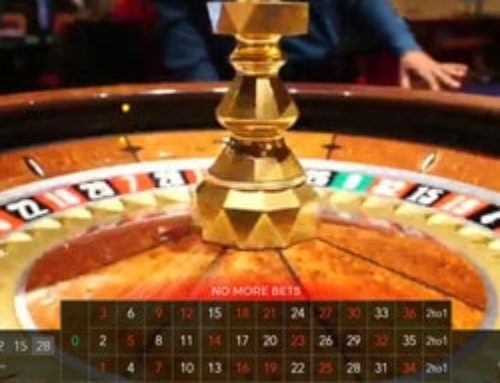 These roulette tables filmed in real casinos in real time are the best in the market. It’s true that they aren’t progressive like Playtech’s Age of the Gods Live Roulette but they aren’t situated in studios. 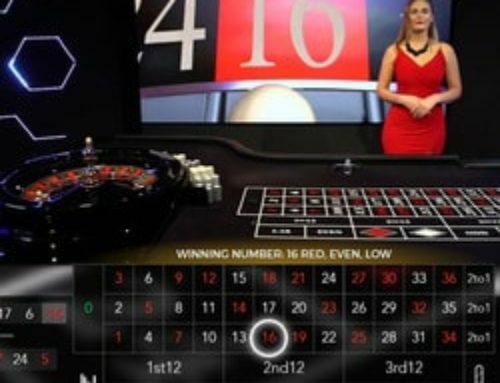 View the above video of the progressive roulette win filmed live, the female dealer can’t believe her eyes!